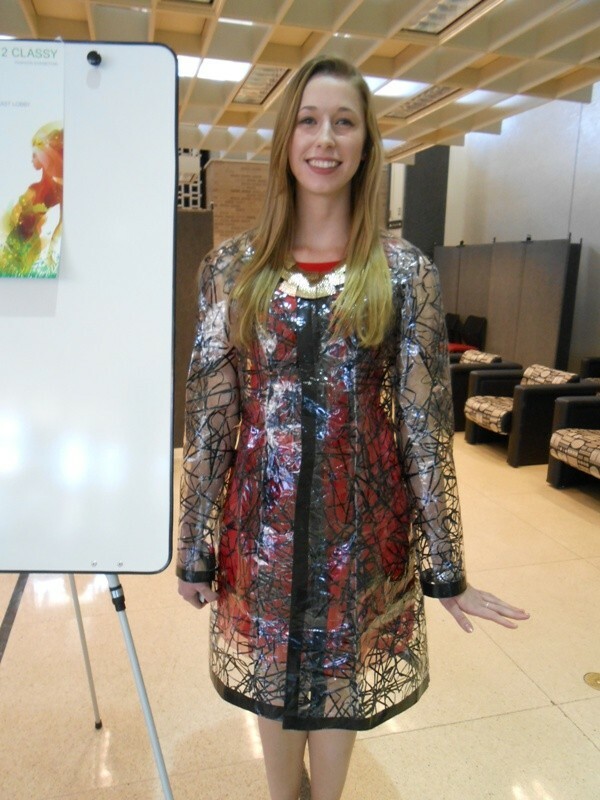 Today Dr. Su Shin’s Apparel Design and Manufacturing students hosted the Trashy 2 Classy Fashion Exhibition in the Library. 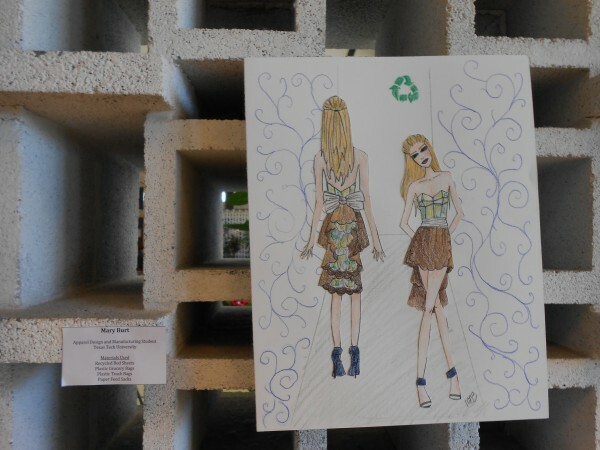 All of the students are in her Fashion Illustration class and had to make an illustration of the garment and then create it from recycled materials. This is the third year they have had the Trashy 2 Classy exhibition in partnership with the USGBCS (United States Green Building Council Students). I spoke to the Vice President of USGBC at Texas Tech, Emily Latham, and she told me this organization is focused on sustainable design and advocates for green design. Typically, they partner with Architecture, interior design or construction students; but this event draws a whole new student demographic. One of my friends, Lisa Hon, was presenting her dress that she made completely out recycled materials. The dress was made from a marketing canvas from Ann Taylor that was going to be thrown away. 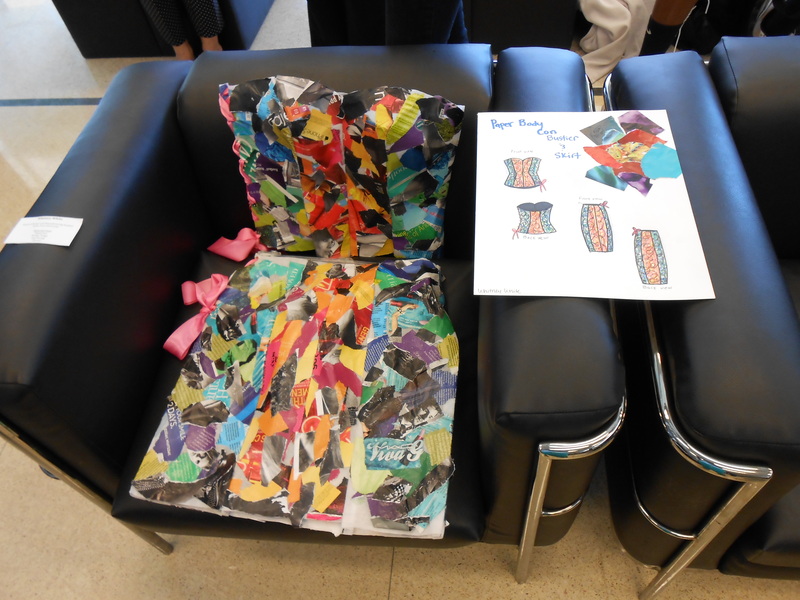 The back straps were made from shopping bag strings, and held with coke can tops, and the clutch was made from shopping bags. It took her about three days to complete the dress that she worked on during spring break. Her model was Krystal Loya, a senior studying Retail Management. Another favorite of mine was Mary Burt’s dress. 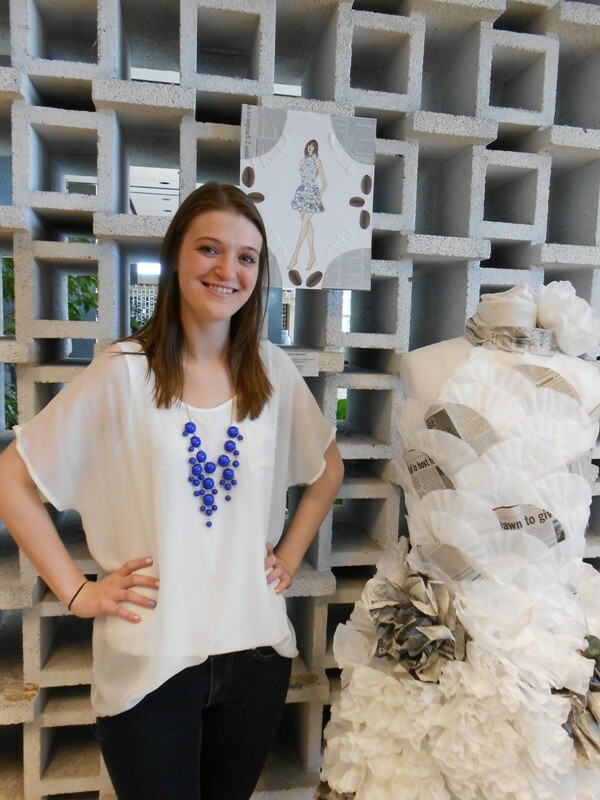 She’s a sophomore at Texas Tech and her dress was made from plastic and paper shopping bags. 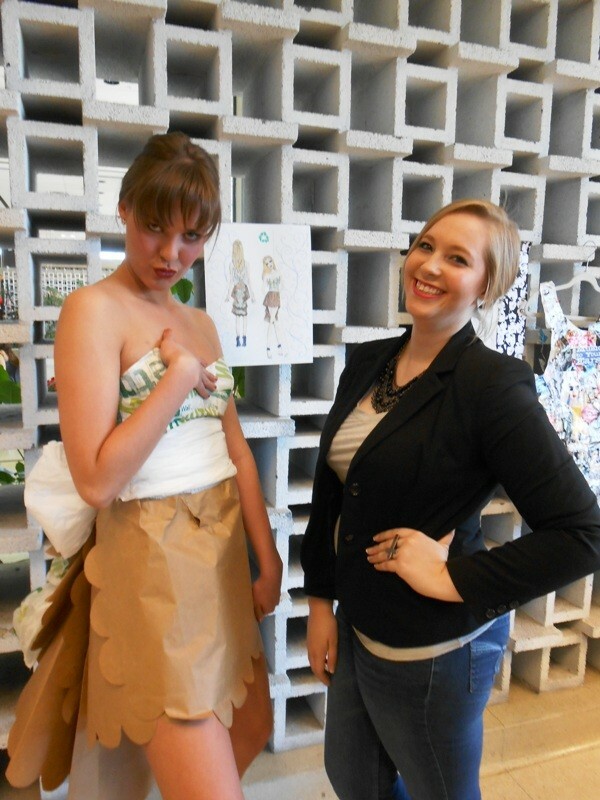 Taylor Dawson made her dress out of coffee filters, plastic bags, and newspaper to create a really cute couture look. She was actually inspired by flowers and floral designs she saw on Pinterest! She worked on it all spring break and actually used her brother as a human mannequin during the fitting. 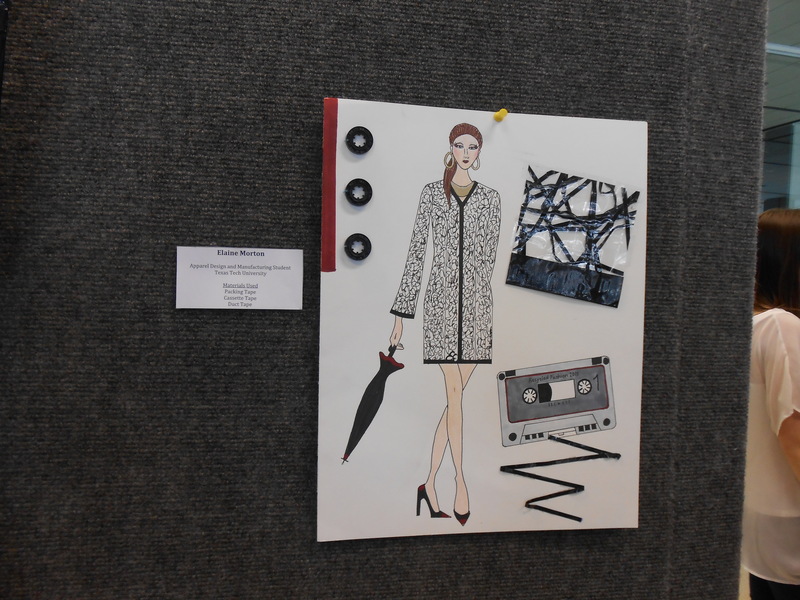 Last, but certainly not least is Elaine Morton a sophomore who created this really cool rain coat out of CASSETTE TAPES and Packing Tape! Instagram: Not only can other see who has liked the photo, but by using hastags you can increase your reach. #WomensFashion or #Fashion. Facebook Events inviting your friends and having a cute flyer goes a long wayCheck in once you get there! Tumblr is such a great outlet for Fashionista, designers, and illustrators. You’d be surprised by how many people will like your work. Vine – Record a mini catwalk! Do your strut around the free speech area or library before the show so people will be curious about what’s happening. Think Fashion Flash mob! Be on the look out for more info on this event in the Daily Toreador and Texas Tech Today! Wreck Em Tech & Go Green! Those things don’t address that your hair is still short and you don’t like it. Here are some tips on retaining length and hair mistakes from JustGrowAlready.com you can read more of them in the Beginners Hair Guide on her blog. Keeping my ends moisturized. Our ends are the oldest part of our hair and thus require the most moisture. Protective styles. This reinforces the bullet point above but protective styling also help me cut down on manipulation and helped me to just leave my hair alone. Decreased use of direct heat. 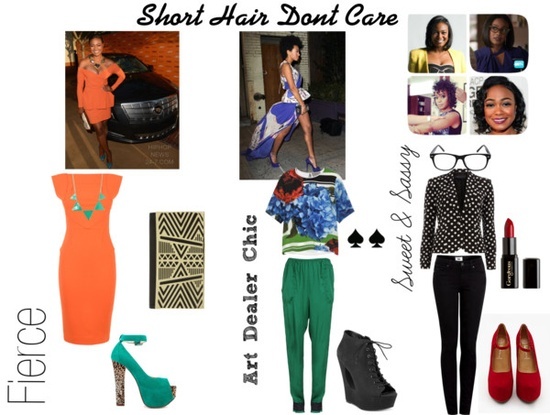 Using direct heat (blow drying, hot combs, flat irons) on your hair isn’t a bad thing, but should be done in moderation. Frequent use of heat can dry out and damages hair. Weekly deep conditioning to restore moisture and elasticity to my hair. You can always buy some Biotin from your local vitamin store, use hair oils such as castor oil, drink plenty of water and eat clean. So now you have the enormous task of pretending that you like your hair cut. Stop seeing it as a mistake and just use it as an excuse to go shopping! You’re sophisticated, you’re edgy, you’re fierce. Snap in a circle, twirl, yell out “YAASS!” for no reason.